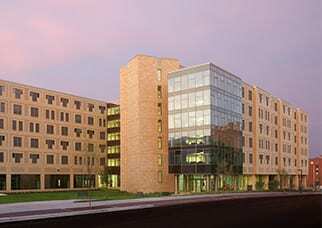 Ogg Residence Hall, a 600-bed student residence is a new model for freshman and sophomore residential life on the University of Wisconsin-Madison campus. 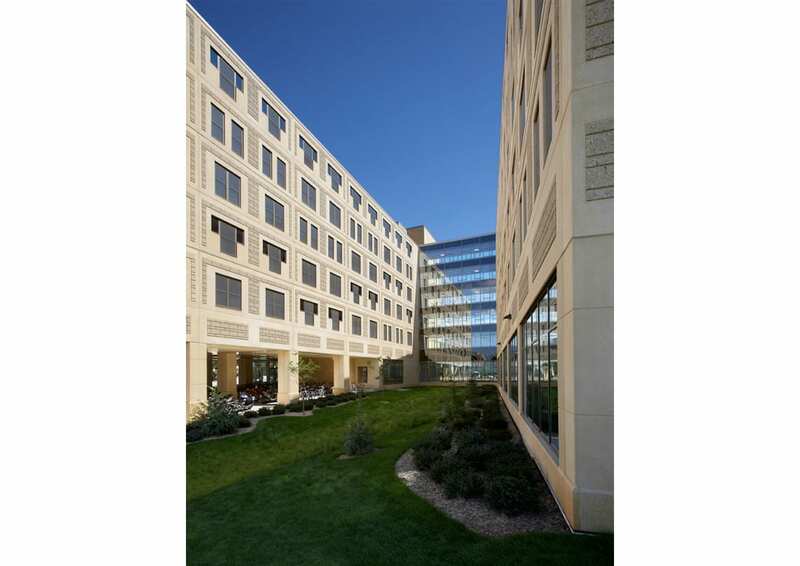 The University of Wisconsin believes that the first semester of the freshman year establishes the basis for social and academic success. To support and spatialize this idea, Ogg is organized into three buildings of five floors, or “houses,” with 40 beds each. The independent houses are connected with social spaces, as are clusters of rooms within each floor. 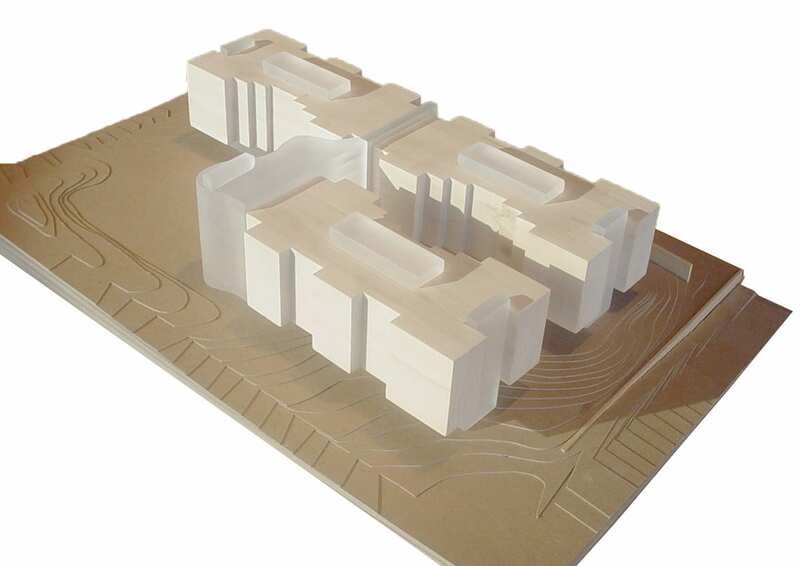 The design promotes tiered sociability, encouraging students to interact with not just their roommates, but with the larger group of students who share their bathroom facilities (8-12 students), with their house (40 students), with their floor across the three buildings (120 students), and so on. 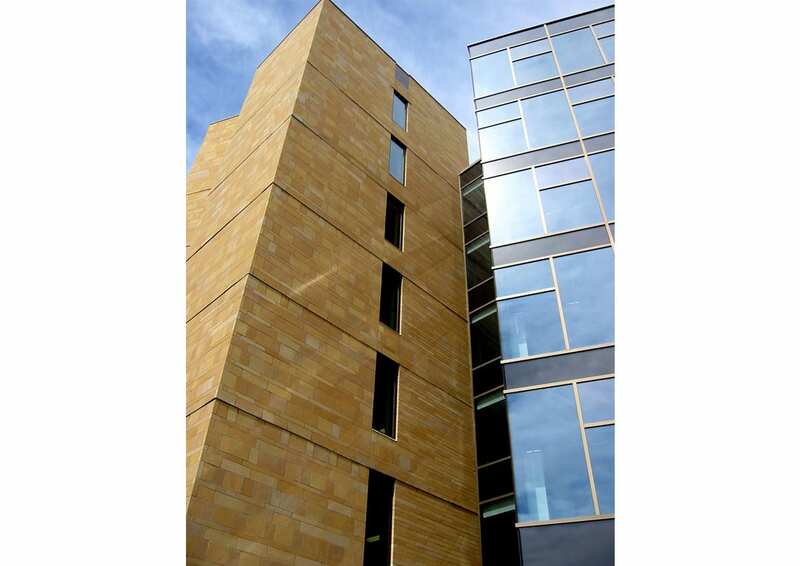 Efficiently designed with highly durable materials, the building was constructed very economically. 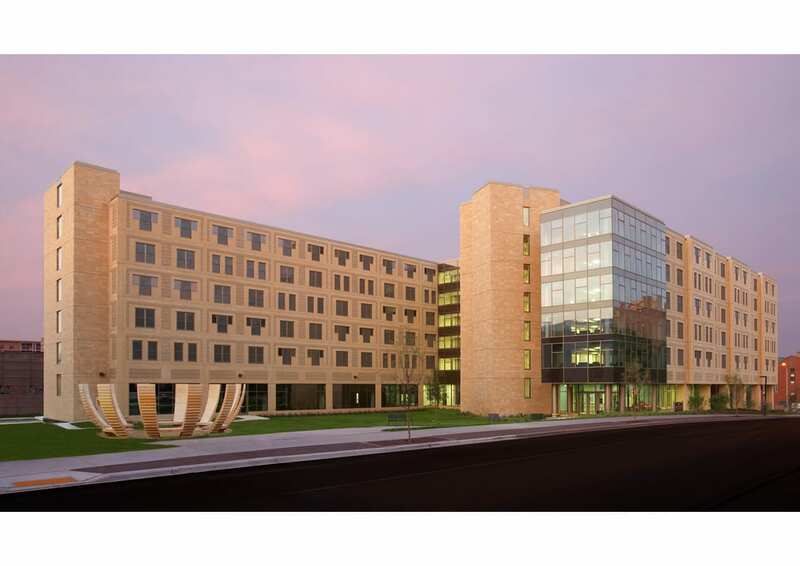 Due to its effectiveness in both design and budget, Ogg is recognized as a prototype for residence halls statewide.